A beautiful dessert that tastes as good as it looks. Layered with cream, chocolate and cake rusk makes it a wonderful triffle. In a saucepan mix together milk, cocoa powder and coffee powder. Heat while mixing for 2 minutes but do not boil. Remove from heat and dip cake rusks in the mixture one by one(holding with tongs). Place in a glass dish and pour any leftover milk mixture on top. Beat cream and add sugar to make it sweet according to taste. 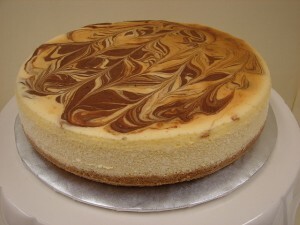 Pour beaten cream over cake rusks and decorate with chocolate syrup or home made chocolate sauce. Make a marble like pattern of cream and sauce using a knife.